In the middle of my service I started with the project about emotional education called “The colour monster”. It is about one monster who has all the colors mixed and needs help because he doesn’t know what is happening and which are his feelings. Each colour is representing one emotion so every week the monster, that we called TOMI, comes to our class in one color telling us the situation that he has and explaining us his feeling in that situation. So every week, almost every Wednesdays, TOMI was hidden around the classroom and the children were looking for him. When they find him we were sitting all together in the circle to ask TOMI about the emotion or feeling of the day. So the child who finds TOMI was asking him that in Spanish: “Hola TOMI, ¿que tal estas?” (Hi TOMI, how are you?) and then looking TOMI´s face, all together try to guess the emotion and talked about it. 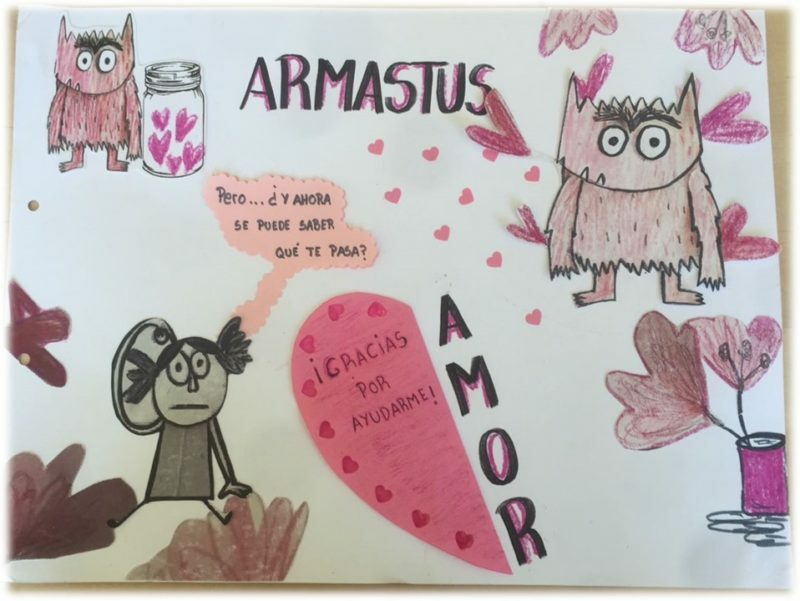 The main purpose of the project is to learn about the emotions and our feelings in each situation while they learn also the Spanish language in a practical way, having fun together. The children will benefit from the project knowing a bit more about themselves and being able to recognize different emotions and feelings. In total we had worked 7 emotions: happiness, sadness, calm, angry, scare, surprise and love. 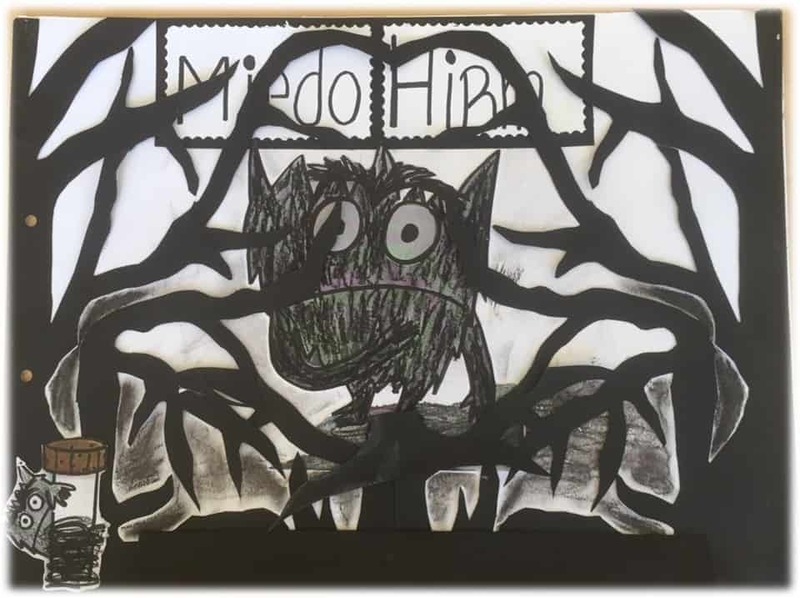 And now we have a big book for the class with the emotions in Spanish and Estonian and also each child has their own book, because every time after work the emotions the kids coloured the monster and wrote back with the help of the teacher when they are feeling like TOMI. 1. PLAYING WITH THE MUSIC: I played different kind of music and the pupils had to guess the emotion of each melody. 2. MIMICS: in the surprise box there were some situations of different emotions. Then one of the children took one of that situations and trough the mimic he or she had to represent it until the others guessed what is he or she doing and which are his or her feelings in that situation. The child who guesses it is going to represent the next situation. 3. GARDENING: using different colourful flowers we made TOMIs garden. a. Las emociones en situaciones it is a film to guess which emotion are feeling the cartoons of each situation. 5. GAME “EMOTIONAL PAIRS”: it is the typical game of finding the pairs in which the children have to find the emotions in Estonian and Spanish and then represent some situation around this emotion. From the aspect of myself I had the opportunity to be active in the group and know a bit more about themselves. Besides, we did all in Spanish and Estonian language so I can learnt a bit of Estonian also. From the aspect of my receiving organisation and the target group they learnt about the emotions in a different and original way. From the aspect of the local community, after finishing all the project we can share it with another kindergartens or with everyone who finds it useful. Paula stayed in Estonia for 8 months within the project “ Boost the Mind II” which is funded by Erasmus+ European Voluntary Service program.